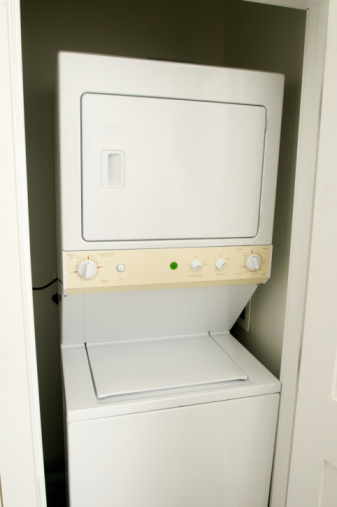 Dryer vents are designed to expel moisture from just-washed clothes out of the house. If not properly ventilated, dryers can overheat and cause fires or re-direct moist air into your home and adversely affect your family's health. Dryers exhaust should always be vented outside the home. Dryers that vent indoors may go unnoticed, especially if they are releasing fumes into an attic or the vent leaks into the space between walls. The moisture from wet clothes can cause mold to grow inside walls, which can lead to respiratory issues, certain types of cancers and death. Dust particles can escape and cause allergy attacks in sensitive individuals. Dryers powered by gas can leak carbon monoxide into your home if the vents are not properly installed and ventilated outdoors. Carbon monoxide affects your body by preventing oxygen from being delivered to your organs. Even extremely small doses cause a number of symptoms, including difficulty breathing, nausea and vomiting, while slightly higher doses can cause death. Follow your dryer vent hose or pipe to make sure that it is venting outside, and check the exit area occasionally when the dryer is on to make sure it is working. Re-route your vent hose if it does not lead directly outside. Clean your lint trap regularly, and clean the vent hose when you do spring and fall cleaning to keep it in good working order.